Write down everything. Use your brain for planning. Using your mind for remembering things is wasteful. Always put "next actions" on your list. Vague titles like "sort garage" are hard to action. Make decision on the next action as you write your list. Deferred decisions mean procrastination. Review weekly. Check over your list of projects for next actions and cross off items you have completed. Have a single "in" tray or inbox. Everything that needs processing for decisions should live in a single place that you empty on a daily basis. 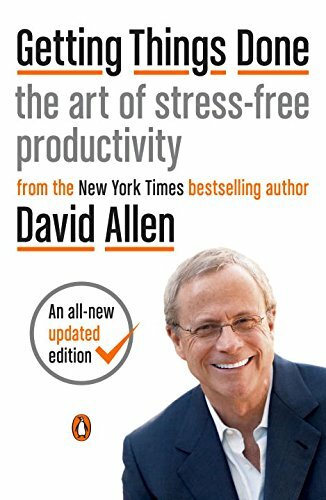 David Allen's belief is that the human mind is best at thinking about things rather than thinking of (i.e. recalling) things. This means that a list kept in your head is both hard to recall (you remember milk only after you get back from a store) and lacks the decisions that make the list easy to action on. Allen describes a very precise walk-through of his method right down to individual stationery items. Much of his method relies on having a single place where you keep a series of action lists (the number of lists is up to you) such that throughout your week you have a clear idea of things you can and should be doing to move your projects forward. Another key feature is keeping all unprocessed, "in" items (physical in-tray or email inbox) in a single place. This means that you have a single, clear place to put notes of new items that come up (without getting overwhelmed or distracted from important project work). You can then have a daily block of time to process these items and either ditch it, do it now, file it, put it on an action list (after deciding what the action is) or delegate it. Note that there is no room to come back to the item later. The decision is made right away. Even if the action is deferred until you have time, you are not putting it off because you haven't decided what to do yet. One very influential technique that falls out of this is the "two minute rule" where you immediately act on any item that takes less than two minutes during this processing time. This turns the in-tray clearing "inbox zero" time into a very productive block of time in terms of keeping lots of small actions off your lists. The book covers many other techniques for dealing with lists of bigger projects, how to deal with "some day" items that you are not ready to turn into projects (but don't want to forget) and also systems for deferring things until the day they are relevant. There is also a "horizons" model for thinking about what your focuses and bigger vision are, which is invaluable for prioritising your projects. This is a very important book for anyone who has let things pile up and feels overwhelmed by the number of things they have going on at once. Allen's suggestion to spend a whole day or two just processing all your "in" items is perhaps the most effective thing anyone should do to get from what overwhelmed state to a state of feeling in control for once.